Hi everyone! Let's get back on schedule with a new Weird Pick Wednesday this week. I gave you a bonus earlier on Monday, but it's not much of an extra without the regularly scheduled post to back it up is it? Today we're checking out one of my favorites, Magic Penetration Mundo. Although he's probably still better as a top laner than a mid laner, he could potentially head there as well. Check out the full scoop below! If you're facing the majority of melee top laners, Mundo is able to last hit from a range fairly easily. As long as he kills the target with his cleaver, he refunds the full amount of the health cost, meaning that as long as you're last hitting properly, you'll never run out of health. Even if the enemy champion body blocks your cleaver, you'll still receive half the cost back and the added bonus of nailing them for a huge chunk of damage. Dr. Mundo's AP ratios are actually pretty weak at a rate of a mere 10% per half second on h is Burning Agony (W) skill. However, his Infected Cleaver (Q) does an absolutely insane amount of damage at 25% of the target's maximum current health per hit with a minimum damage of 280 (pre magic resist) at max level. This means that even against tanks, a Dr. Mundo has the potential to chunk off 43.75% of their health in 8 seconds or less depending on cooldown reduction. Meanwhile, 280 true damage every 4 seconds is no joke either. With the amount of magic penetration you're stacking on him, at full build he has a flat 69.5 magic penetration along with 35% and 7% scaling. If I'm doing my math correctly, that means anyone with 115 magic resist or less will be taking true damage. Ouch. With his short cooldowns, mana free skills, and low cooldown ultimate, Mundo can easily outsustain pretty much any lane opponent. This build also makes him more of a kiter than an in-your-face type of melee bruiser, which means it's less likely that he gets hit with any healing debuffs. This means that he can peel tanks extremely hard via his percentage based damage and slows. Mundo will be relatively squishy if you rush straight magic penetration. However, you can also supplement his health by building an early tank item or simply a giant's belt if you feel like you're dying too quickly. 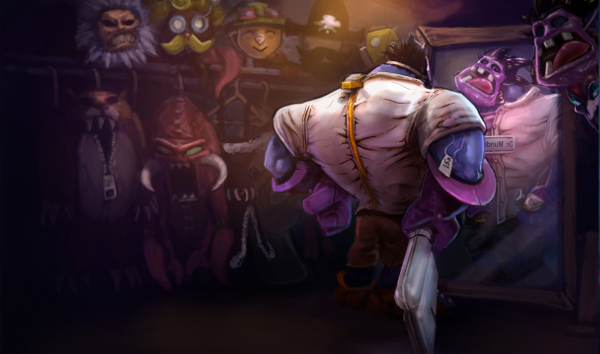 If you're planning on staying at medium range, Dr. Mundo will need to make sure to land his cleavers consistently or find himself in danger of getting too close or losing the ability to stick to his targets. Without a consistent gap closer outside of his ultimate's speed boost, he may have difficulty as glass cannon Mundo certainly can't go where he pleases. There are several champions and items that get stronger and stronger the lower in HP they have. As Mundo scales mostly off the percentage based damage of their current health, he may find himself having trouble getting around lifesteal based champions like Olaf, even after getting him to low health. As an AP champion, Dr. Mundo will have trouble clearing waves, especially since he'll need to be more conservative with his Burning Agony (W). With a lower HP pool, he may have trouble against heavy push and roam type champions. 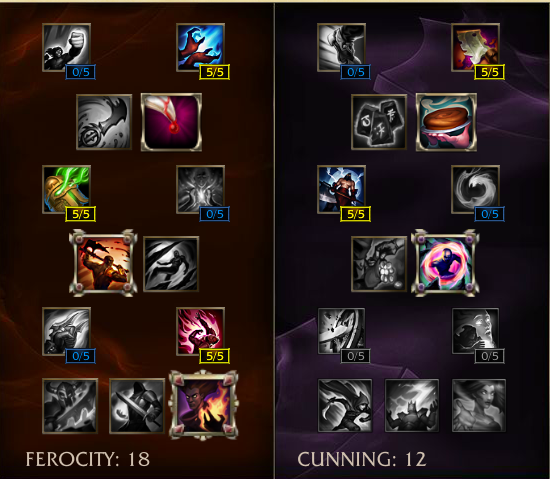 Mundo still last hits at tower easily with his Q and his E, but managing minion positioning may prove difficult. AP Magic Penetration Mundo is an extremely fun champion that also synergizes well with the new masteries. However, he fits a niche role and may have trouble being effective against all-in engage teams. What do you think about AP Magic Penetration Mundo? Comment below!